Clive's Bulleid's S.R. 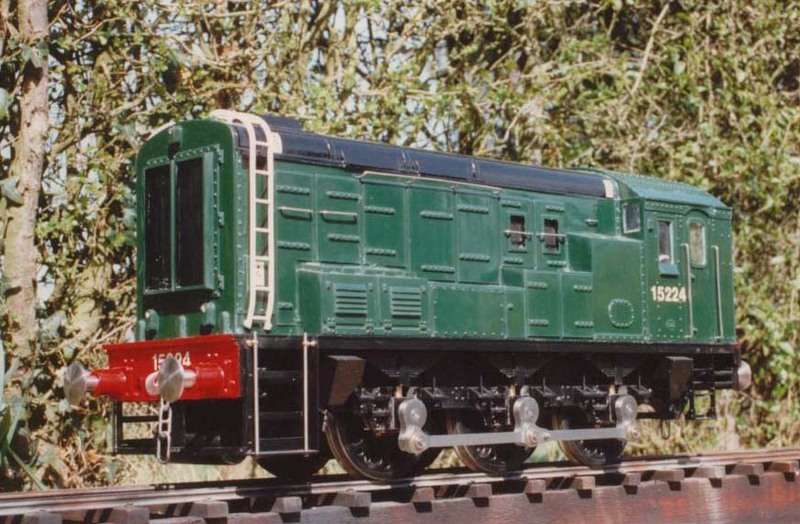 / English Electric 350 hp Diesel Electric Shunter. My interest in what became the B.R. Class 12 shunters stems from my locomotive fitter & turner apprenticeship days at Ashford Works from 1951 to 1955, where I saw some under construction. In addition, my Uncle Albert Sawyer had been a main line driver at Ashford Running Shed for many years, but due to blood pressure problems had to come off the main line, and finished up ferrying locomotives from the Works to the Running Shed, which included the new shunters. Twenty-six of these Bulleid designed shunters were constructed at Ashford Works commencing in 1949, numbered 15211 - 15236, with an installed English Electric 6KT 350 bhp engine. They were fitted with the Bulleid-Firth-Brown "Boxpok" wheels of 4' 6" diameter, and had the relatively high top speed of 27.5 mph which made them suitable for trip working. Only two E.E. traction motors were fitted, and initially they were not fitted with electric marker lights. These shunters were air braked, and there was no vacuum brake provided for train working. Only one shunter, 15224 has survived, as it was sold by B.R. to the National Coal Board for use in the Kent coalfields. In 1985, now as a preserved locomotive, 15224 moved to the Lavender Line where it spent 13 years. Since 1998 it has been based at Tunbridge Wells on the Spa Valley Railway, and is privately owned. They were turned out from Ashford in the standard plain black livery with a small lion & wheel emblem. My little version is in 5" gauge, numbered 15224, one of those I saw being constructed, but painted in the Eastleigh livery of B.R. Brunswick green with a black bonnet top. It utilises components supplied by Dan Jeavons, and the wheels were cast from a 'Q1' pattern and judiciously machined down !